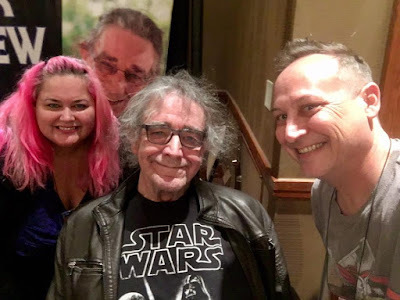 As I'm married to a huge Star Wars fan, I knew one of the big things we needed to get at the convention was a picture with Chewbacca himself, Peter Mayhew. 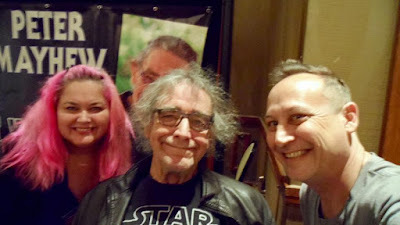 We took this one first on our camera, but I could already tell that without a flash it was a bit blurry. I'm so glad I went for the second picture! We used our phone for this one and it worked much better. Thrilled to have met him!